So writes Robert Zubrin in an article at PJ Media. He contends that more people have died as a result of the environmental movement than at the hands of the most extreme mass-murdering dictators. In fact, he argues, millions of those deaths in the dictatorships have been caused, indirectly, by the environmental movement. How good is his case? Some of the worst atrocities can be laid at the feet of the population control ideologues such as Paul Ehrlich and his co-thinkers who argued — in direct contradiction to historical fact — that human well-being is inversely proportional to human numbers. As a result of their agitation, since 1966 U.S. foreign aid and World Bank loans to Third World countries have been made contingent upon those nations implementing population control programs. In consequence, over the past four decades, in scores of countries spanning the globe from India to Peru, tens of millions of women have been … subjected to involuntary sterilizations or abortions, often under very unsafe conditions, with innumerable victims suffering severe health effects or dying afterwards. We are against foreign aid. But we are even more against the forced reduction of populations by “population control programs” including compulsory abortion and sterilization. Ehrlich also called for the United States to create a Bureau of Population and Environment which would have the power to issue or deny permits to Americans to have children. While rejected here, this idea was adopted by the leaders of the Chinese Communist Party, who were convinced of the necessity of such measures by the writings of the Club of Rome* after these were plagiarized and republished in China under the name of one of its top officials. Thus was born China’s infamous “one-child policy,” which has involved not only hundreds of millions of involuntary abortions and forced sterilizations, but infanticide and the killing of “illegal children” on a mass scale. Scientific arguments were also used, for instance that DDT endangered birds. To these lunatics (what else can one call them? ), the preservation of bird life was more important than the preservation of human life. Rachel Carson … in her 1962 book, Silent Spring, … made an eloquent case that DDT was endangering bird populations. This was false. In fact, by eliminating their insect parasites and infection agents, DDT was helping bird numbers to grow significantly. No matter. Using Carson’s book and even more wild writing by Ehrlich (who in a 1969 Ramparts article predicted that pesticides would cause all life in the Earth’s oceans to die by 1979), a massive propaganda campaign was launched [in the US] to ban DDT. No matter. EPA administrator William Ruckelshaus (who would later go on to be a board member of the Draper Fund, a leading population control group), chose to overrule Sweeney and ban the use of DDT in the United States. Subsequently, the U.S. Agency for International Development adopted regulations preventing it from funding international projects that used DDT. Together with similar decisions enacted in Europe, this effectively banned the use of DDT in many Third World countries. By some estimates, the malaria death toll in Africa alone resulting from these restrictions has exceeded 100 million people, with 3 million additional deaths added to the toll every year. The harm done by the EPA, itself a creation of the environmental movement, has not been limited to stopping DDT. It is no coincidence that U.S. oil production, which had been growing at a rate of 3 percent per year through the 1940s, 50s, and 60s, peaked in 1971, immediately after the EPA’s creation, and has been declining ever since. In 1971, the U.S. produced 9.6 million barrels of oil per day (mpd). Today we are down to 5.6 mpd. Had we continued without environmentalist interference with our previous 3 percent per year growth in the period since — as the rest of the non-OPEC world actually did — we would today be producing 35 mpd, and the world economy would not be groaning under the extremely regressive tax represented by $100 per barrel oil prices. The environmentalist campaign against nuclear power has made its promise for plentiful, cheap electricity impossible as well. The genocidal effect of such support for energy price-rigging should not be underestimated. Increasing the price of energy increases the price of all other products. It is one thing to pay $100 per barrel for oil in a nation like the USA which has an average income of $45,000 per year. It is quite another to pay it in a Third World country with an average income of $1500 per year. An oil price stiff enough to cause recession in the advanced sector can cause mass starvation among the world’s poor. While we think the phrase “genocidal effect” is not well chosen, we follow Dr. Zubrin’s argument. European greens also have much horror to account for, notably through their campaign against genetically modified crops. Hundreds of millions of people in the Third World today suffer from nutritional deficiencies resulting from their cereal-dominated diets. This can now readily be rectified by employing genetically enhanced plants, such as golden rice, which is rich in vitamin A. Other genetically modified crops offer protection against iron or other vitamin deficiency diseases, dramatically increased yields, self-fertilization, and drought or insect resistance. But as a result of political pressure from the green parties, the European Union has banned the import of crops from countries that employ such strains, thereby blackmailing many governments into forbidding their use. In consequence, millions of people are being unnecessarily blinded, crippled, starved, or killed every year. Taken together, these campaigns to deny billions of people the means to a decent existence have racked up a death toll exceeding that achieved by Hitler, Stalin, Mao, or any of the other tyrants whose crimes fill the sordid pages of human history. *And here is a very important footnote that explains how and why environmentalists decided to exploit pollution, global warming, and famine in order to make a case for global unification [ie for world government] as long as the earth is peopled, but also against the human race, which they perceive as the planet’s enemy. 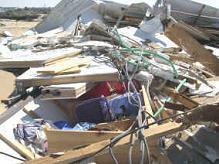 What their ultimate aim is – whether absolute power over the human species or its total annihilation – is not clear. Is preservation of the environment the pretext for, or the goal of world government? Perhaps they are not sure themselves. … for they, the International Communist Dictators of the United Nations, shall inherit the earth. They, the ICDs of the UN, and their collaborator-in-chief Barack Obama, plan to bring about world-government through environment and species protection. In fact, the appearance and disappearance of species can no more be controlled by human beings – even such super-beings as the ICDs of the UN – than can climate and the weather. The Endangered Species Act (ESA) was passed in 1973 at the height of the period in which Congress became enthralled with any legislation purported to save the planet and to regulate anything and everything that had to do with the environment. It is a complete failure. Why then did the Associated Press report in September 2011 that “The Obama administration is taking steps to extend new federal protections to a list of imperiled animals … from the melodic golden-winged warbler and slow-moving gopher tortoise, to the slimy American eel and tiny Texas kangaroo rat”? Recall the outcry two decades ago that spotted owls were on the brink of extinction. The resulting action to protect them shut down a great swath of the timber industry in the northwest. It turned out that barred owls were preying on their cousins, again a natural competition between species. The Obama administration wants to set aside millions of acres to protect the spotted owl and to authorize the killing of barred owls! The plan … has nothing to do with spotted or barred owls and everything to do with attacking the timber industry in the same fashion it is attacking the coal and oil industry. It is an attack on the nation’s economic maintenance and growth. Little known is the fact that the government compensates the legal fees of environmental groups that bring action to get a particular species designated as “threatened” or “endangered.” It is a scheme … that has nothing to do with the question of extinction and everything to do with setting aside vast parts of the nation from any development or use. Which greatly assists the implementation of the UN’s “Agenda 21”. This collectivist, world-government program, already being put into practice by left-dominated local authorities all over the US, aims to herd people into small living-units in cities and return as much of the developed countryside as possible to wilderness. Watch out for the surreptitious advance of the scheme in your own area. See our posts: Beware “Agenda 21”, June 24, 2011; The once and new religion of earth-worship, October 27, 2011; Agenda 21: the “smart growth” conspiracy, November 21, 2011; Three eees for environmental equalizing economics, December 4, 2011; Prepare to be DICED, March 23, 2012. In 2006, California had the second-highest number of endangered species — from the California condor to the Delhi sands fly. It led the lower 48 states in acres of officially designated critical habitat with nearly twenty percent of approximately 100 million acres in the regulatory clutches of the FWS. It will cost California millions in lost revenue, particularly from its agriculture sector which feeds much of the rest of the nation. In 2006, a federal judge halted a $320 million irrigation project in Arkansas for fear it might disturb the habitat of the ivory-billed woodpecker that many believed had already gone extinct. The National Wildlife Federation and the Arkansas Wildlife Federation had sued the Army Corps of Engineers, to stop a project to build a pumping station that would draw water from the White River. Among their claims was that the noise from the station would cause the woodpeckers stress! The only species that is endangered is the human species as environmental organizations continue to deny access and use of American land needed for growing crops, raising livestock, and building any new improvements … that would contribute to the welfare of the human inhabitants of planet Earth. Not only is the ESA a huge bureaucratic failure, it is testimony to the arrogance and evil intent of the environmental movement to harm any form of economic activity and growth in America. That’s the view from Islam. Israel cruised through the recent global slump with scarcely a down quarter and no deficit or stimulus package. It is steadily increasing its global supremacy, behind only the U.S., in an array of leading-edge technologies. It is the global master of microchip design, network algorithms and medical instruments. 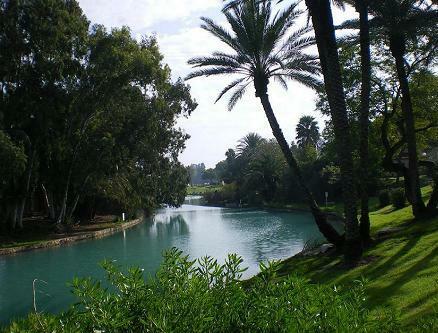 During a period of water crises around the globe, Israel is incontestably the world leader in water recycling and desalinization. During an epoch when all the world’s cities, from Seoul to New York, face a threat of terrorist rockets, Israel’s newly battle-tested “Iron Dome” provides a unique answer based on original inventions in microchips that radically reduce the weight and cost of the interceptors. Israel is also making major advances in longer-range missile defense, robotic warfare, and unmanned aerial vehicles that can stay aloft for days. In the face of a global campaign to boycott its goods, and an ever-ascendant shekel, it raised its exports 19.9% in 2010’s fourth quarter and 27.3% in the first quarter of 2011. Israelis supply Intel with many of its advanced microprocessors, from the Pentium and Sandbridge, to the Atom and Centrino. Israeli companies endow Cisco with new core router designs and real-time programmable network processors for its next-generation systems. They supply Apple with robust miniaturized solid state memory systems for its iPhones, iPods and iPads, and Microsoft with critical user interface designs for the OS7 product line and the Kinect gaming motion-sensor interface, the fastest rising consumer electronic product in history. U.S. policy is crippled by a preoccupation with the claimed grievances of the Palestinians and their supposed right to a state of their own in the West Bank and Gaza. But the Palestinian land could not have supported one-tenth as many Palestinians as it does today without the heroic works of reclamation and agricultural development by Jewish settlers beginning in the 1880s, when Arabs in Palestine numbered a few hundred thousand. Actions have consequences. 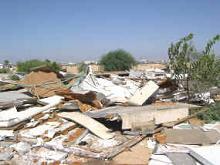 When the Palestinian Liberation Organization launched two murderous Intifadas within a little over a decade, responded to withdrawals from southern Lebanon and Gaza by launching thousands of rockets on Israeli towns, spurned every sacrificial offer of “Land for Peace” from Oslo through Camp David, and reversed the huge economic gains fostered in the Palestinian territories between 1967 and 1990, the die was cast. For the U.S., moving on means a sober recognition that Israel is not too large but too small. 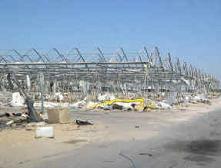 It boasts a booming economy still absorbing overseas investment and a substantial net inflow of immigrants. Yet it is cramped in a space the size of New Jersey, hemmed in by enemies on three sides, with 60,000 Hezbollah and Hamas rockets at the ready, and Iran lurking with nuclear ambitions and genocidal intent over the horizon. Clearly, Israel needs every acre it now controls. Still, despite its huge technological advances, its survival continues to rely on peremptory policing of the West Bank, on an ever-advancing shield of antimissile technology, and on the unswerving commitment of the U.S. The commitment has been swerving, almost making a U-turn under the Obama administration. But this is no one-way street. At a time of acute recession, debt overhang, suicidal energy policy and venture capitalists who hope to sustain the U.S. economy and defense with Facebook pages and Twitter feeds, U.S. defense and prosperity increasingly depend on the ever-growing economic and technological power of Israel. If we stand together we can deter or defeat any foe. Failure, however, will doom the U.S. and its allies to a long war against ascendant jihadist barbarians, with demographics and nuclear weapons on their side, and no assurance of victory. We need Israel as much as it needs us. 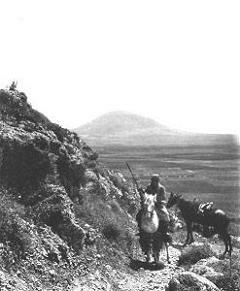 Mount Tabor in 1912 when the Ottoman Turks were in charge; a desolate, barren, inhospitable desert. 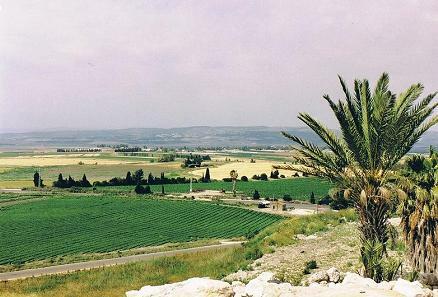 However from Biblical times until their arrival, Mount Tabor was entirely covered with vegetation. When the Turks arrived, they began to deforest the land and overgraze the plains with their animals. 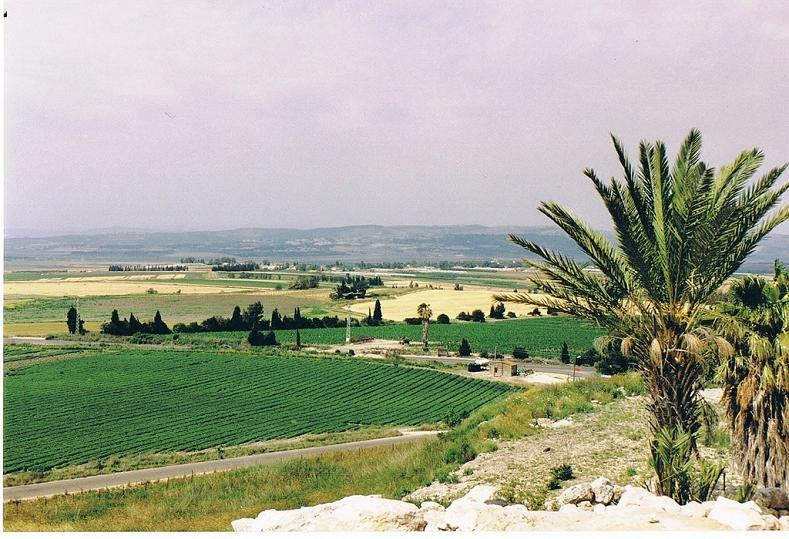 Between the Arab on horse and Mount Tabor (in the distance) is Jezreel Valley where the Battle of Megiddo was fought. In Christian Eschatology, this part of the valley is believed to be destined to be the site of a final battle, between good and evil, known as Armageddon.. 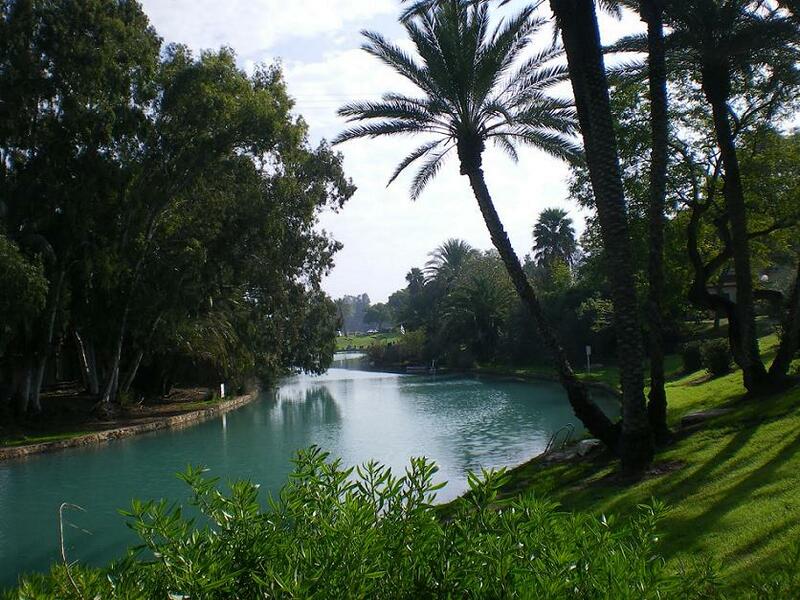 When the Jews regained control of Israel they began to reforest the area. Today, most of Mount Tabor is covered with pine trees. 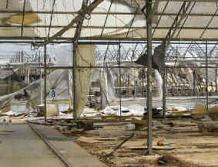 How did the Gaza Palestinians treat the more than 3,000 greenhouses [left to them in good condition by the Israeli settlers whom the Israeli government forced to leave Gaza]?